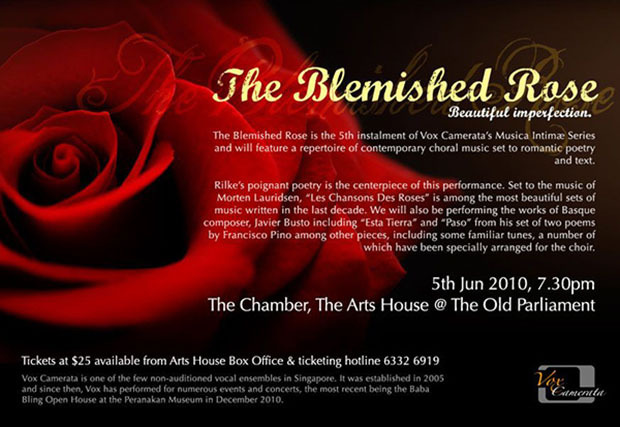 Vox Camerata presents: The Blemished Rose. 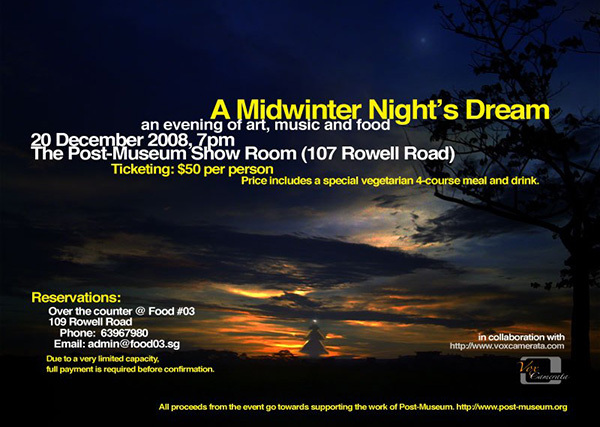 Listen and dine with Vox Camerata at the Post-Museum. 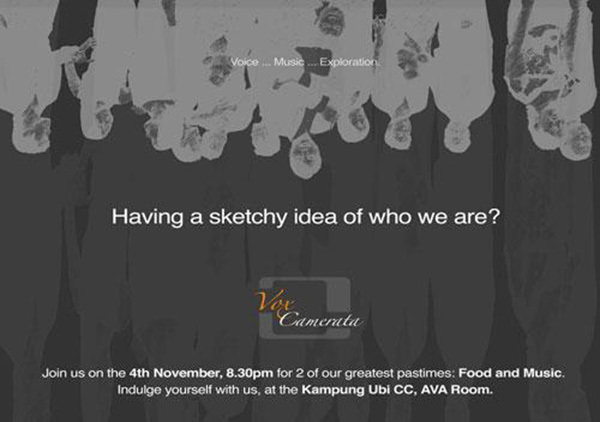 Vox’s first collaboration with Post Museum, experience dining in the comforts of a community arts space, with a 3 course meal provided by the Post Museum cafe, and Vox Camerata voices providing the music. 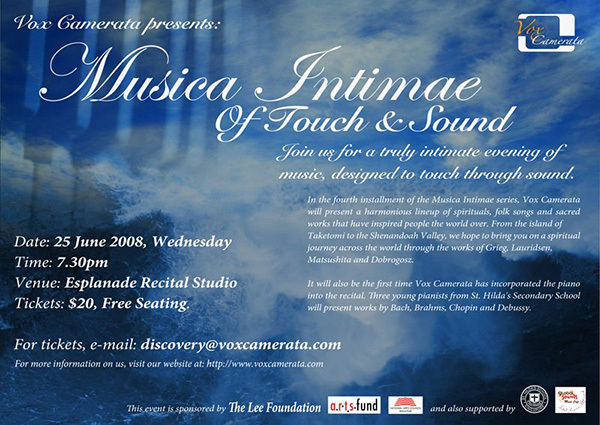 Vox Camerata returns with a new instalment of the Musica Intimae annual concert series, “Of Touch & Sound”. 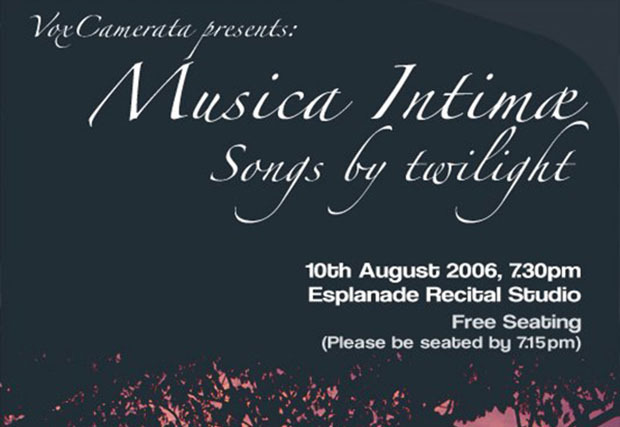 Chill out to the evening with songs by twilight. Vox Camerata is back with a tongue-in-cheek explanation of our addiction. 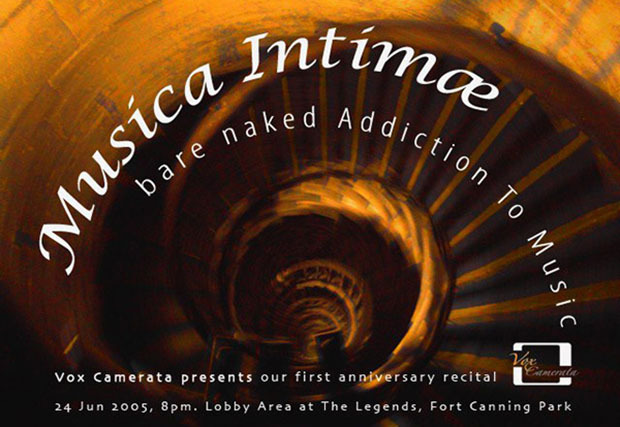 Vox Camerata, fresh out of the oven, presented its first-ever performance at The Legends, Fort Canning.